I’ve SOLD my house to buy more STEEM power. Would you take risk to follow your own dreams ??? In life we have two natures, one wants to advance and the other wants to pull us back, but the one we concentrate on and develop determines what we will become. A concentrated thought changes our careers and accomplishes miracles for us. Investing in steem power right now is the best thing because we all know steemit in five years it is going to be great and for the fact that Steemit has two years of existence and almost 1 Milion user accounts gives it a great competitive position to be the leader in this new generation decentralized social media world so five now from now Steem Power is going to be a rare commodity going forward. Am pretty sure people that 500 sp and above will be envied that time, I sense STEEM is going to run up the charts in terms of price/ market.STEEM already has a community of users who are committed to its success. It is this fact that makes it a diamond in the rough. Would you take the risk to follow your own dreams ??? life is full of risks when someone told me steemit actually this person talked about steemit in a group of 50 people yes am lucky I was among. The 49 didnot take it serious but I did I told my self let me try if it fails then I will chill so I began my steemit journey with the friend that mentioned it when I was blogging the other friends would say "first show us the money before we can start too" I made my first withdraw and that is when they realised thing was real currently they are all joining now and right now earning is hard like never before so they keep wishing they had done it earlier what am driving home is If there is something in your gut telling you that this is what you want to do, you owe it to yourself to, at the very least, acknowledge it and think about how it might come to fruition. Thank you so much for your contribution and my followers and people I follow means world to me. Thanks @nathanmars for that am literally looking forward to it am also working on my first Dlive video where I will introduce my self so i will share it with u too am hoping you will like it . Excellent @ireneblessing. I would love to see every Steemians introduce themselves via Dlive videos. I'm look forward to it and please let me know once you've uploaded it. The say "THE GREATEST RISK IN LIFE IS NOT TAKING THE RISK" you have made a great decision that which you will look back in years and beat your chest saying it was worth it. Now the dream becomes more clearer. You’re my favourite Steemian ! You’re taking some actions and now it’s time for more challenges abc think outside the box. I’ve SOLD my house to buy more STEEM power. Would you take risk to follow your own dreams ??? Life itself is a risk, if one cannot take risks the chance of getting successful of that person is very slim. Getting more knowledge than your mate is risk you decided to take, since a lot of sleepless night over your colleagues will surely pay. Success is a state of mind and the most reliable way to reach that state of mind is by working through set of goal with meaningful challenge (risk) which is what you did now brother. A soul that refuses to take risk is bound not to be successful. Life is a risk, all the activities we engaged in is such a risk. In order to win your have to shake and only two outcome is possible which is whether you lose or win, I believe in this saying, money is the tool in getting more money. I'm willing to take the risk brother, just like yourself, like I said earlier you surely have a strong heart and determination. The risk is worth taking brother. 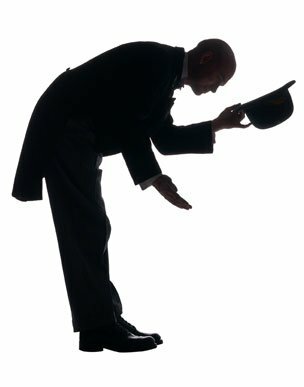 I salute your courage, confident and believe in the future of steemit. Concentration is surely the key brother, putting all eggs in a basket will allow one to focus and protect everything one has. The desire to protect such basket will never quench in person heart. Ride on brother, your success is certain so do mine, the risk must be taken. Lol brother, you teach me a lot through your piece, I have always appreciate your work, there is always something to say to be of support. You make us do more things. We are one remember. We win together. One brand, one goal and one nation we are on steemit, our success is surely certain. Yes we help each other! To solve a problem, we must focus, concentrate and be serious in solving problems or doing something. So, whatever we do or that we face, everything will run easily. Have a good day @nathanmars. Every problem has solution and let’s focus on making peaceful solutions with super focus!! I am glad you like my comment. think before doing something, because by thinking first, we can reduce the risk or eliminate the risk. I’m extreme minimalist and my minimalism journey allow to me realise what is essential for good life. I have been looking at this blog for a while. I just read a glance, it turns out a lot of important and interesting information on this blog. I will read on this blog. It was not long ago when I was explaining the concept of steemit to a friend from school. He then popped this question "can you use your school fees to buy steem ". To be honest, I was so speechless.. But I later discovered that it can actually be worth it.. But I don't have that much courage now maybe sometime in the future I will try something that risky in the name of steem. Although you selling your house in other to get steem is a risky thing but it's also a good investment. I bet in the future you won't regret making this decision. Which one of the 2 is actually a Risk? I definitely recommend you to read it! I’ve never read that book and I don’t like reading books. I usually watch animated books summary from YouTubers and I don’t watch youTube either. Only Dtube and Dlive. Thanks you @nathanmars for bringing out this, it is a topic which lives a contest to everybody and see what you treasusre most. From your post there is something i can call conflicting loyality where you being torn apart by two situation and in this they seem important and worthy to trust them but in that you have amoral responsibilty to fore go one option and take on the other. The rate of turn over which commodities move in a given market system. Unforeseen factors like climate changes and other contingencies. As long as those factors are favorable, then someone can sell off their stock and in this case steem but you have to predict the market trends since we live a changing business world. Speculation is good but risky iincase you succumb to wrong iformation. I’ve already sold my house and once I get the money I’ll buy more SP. I could give you so many reasons why, but number one reason is that “I believe in ability to make it with Steem” basically I’m investing in myself. Well I'm willing to take a risk if it is worth taking since we all know that this life is a risk on is own, be reach a top position in life it actually involved some sacrifices so I can put in sacrifices in form of risk taken before reaching a desirable height in the future. Risk is the engine behind oneself success whether we like it or not and I realized that people that often make it more than there mate actually take a risk that others are not willing to take since they believe and always satisfied what the present, they don't see much going on in the future. For you to have decided selling your house, what comes through my mind is your dream and goal about steemit is defined and you actually see future ahead of crypto currency. I can say if that is the only house you have, it doesn't worth selling for steemit but if you have more since I believe you can't sleep in two houses at the same time, I consider you selling that investment. I'm also willing to take the risk if it worth losing, since I know I can loss all I ever invested. I don't really believe in cryto currency has it does have future. Basically I’m taking risk with my abilities and SP is my tool. With Steem anyone can succeed and if they fail then they’re the reason not Steem. Hey man you really did sell your house to buy some steem power. That's very astonishing. I must say you are a man of great determination. Life itself I believe is a risk. Trust me, I would also take some risk just to achieve what I want. As long as it was triggered in me by the determination of achieving a goal. Yes I really did sell. I don’t need to lie to my followers. It's well man! We are all here to support each other reach our goals. Alright man!. Kindly leave a feedback when you're done checking it out. Thanks!. Yes, I observed you already did. And I'm really grateful for the feedback and upvote. You kept a smile on my face today. It great to know you will now be taking your time to really dig into your followers work. I will say you are a true example of a leader. I'm really glad to have met a man like you. I hope we will continue to be great friends. Have a Blessed Sunday! Yipee!. Thanks for the assurance. Wow. What I can say is this is the best decision you have made @nathanmars. You have a heart of a true entrepreneur. Risk taking is what we all should do. Selling your house is something that's touching so much. With the steem power you have gotten, am sure you are going to buy ten more houses with such a big investment. You have truly inspired me so so much. I am asking you to be my mentor in this business. I need to get crazy and sell off my assets too if steem power is all I need. Am so overwhelmed by your move. All the best @nathanmars. You deserve it. Go for it. Good luck my dear. Actually you guys are my mentors. I hope my action will make you take more actions to follow your dreams. Life is too short! Wowww I really glad to hear. Wow I'm shocked at the amount of courage you have to risk this for your dream. not everybody can do this. this day marks the beginning of your stardom. the first step to getting your dreams realized is always the biggest step. I'm proud of you. Thank you so much for sweet words. Hello, friend @nathanmars selling your house for Steem, my friend, I'm sure many people would think twice before making a decision like this. You are a determined person and are very clear about the objectives you want to achieve, I am happy for your decision to achieve your goals, which is to reach $ 100 and I know that with that enthusiasm and skills your dreams will come true very soon . Wow! This is really crazy! But I think, someone does not dare to do this without absolute consideration. I know successful people are brave and smart people take advantage of opportunities. Honestly I have not read such statements on this flatform. Remarkable. Exceptional success greeting to extraordinary people. Thanks my dear friend! I really appreciate your comment and you guys make me believe in myself more and more. Bring it on!! Waooo this for me is something very determined and courageous, it is also very inspiring. This is called having faith, these types of decisions are what lead to the success of the future. Thank you for sharing this testimony that will help us to reflect on many things to see the fulfillment of our goals. Hello my friend. This is very inspiring. You are really a passionate person when it comes to investing in crypto. Good and most successful entrepreneurs/business men are risk takers. The higher the risk the higher the profit. I have learnt not to be timid even at any one moment more so in business. I must do whatever it takes to invest in steem power as well so that i also be among the steem billionaires. A great lesson picked up here. Thanks so much @nathanmars for sharinng. Wow wow wow, this astonishing. You’re a true example of determination, a living witness of concentration. Yeah I can risk anything to follow my dreams , you’re inspiration unto many on this platform. I always think that life must be rick to make the dream come true, otherwise it is not possible to achieve success in life. 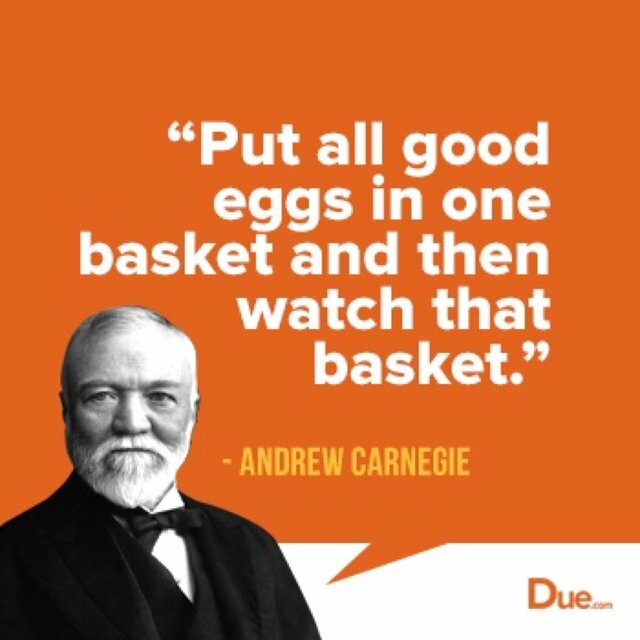 Just like the image points out, we can actually put all eggs in one basket and watch it safely, i event believe its safer that way because we can concentrate and focus on this one basket rather than having divided attention on several things. I believe every dreams requires a particular sacrifice, some of these sacrifices are high risk, we most times see the success of men but never pays attention to the sacrifices paid. I may not sell my house like you, maybe because I dont own one but I can risk much for steem because I believe in this blockchain and cant miss out from this great opportunity. I cherish you passion and drive from steem and it application i believe more people will join and we will see a high rise in steem probably $100 in few years. This is what I have been doing since I joined steemit, If you look closely my profile says Steemit Promoter, I have brought over 1000 steemian, but i have relented in bringing people onboard due to some challenges encountered. I hope to resume soon once the atmosphere is set again or once i get needed support. I glad to see you're promoting Steem..
I’ve Steemian friends around the world and people in your life who support you are more valuable. You definitly have a beautiful heart. a very risky decision, what factors make you dare to take big action. usually someone doing a great action must have been thinking broadly about risk,, great sacrifice gave birth to great results if it was the right way. There are so many factors I guess, I followed my heart. Social media is the future. EOS will boost steem based application, STEEM has the potential to become the next Bitcoin. More importantly what I love to do, how I want to do work and who I should work for... I love people and making positive impact.. so Steem is match made in heaven for me. In school we learn that mistakes are bad, and we are punished for making them. mistakes. We learn to walk by falling down. If we never fell down, we would never walk. That is the true analysis of life anything worth doing is worth doing well being on steemit has been a sweet journey with rough road sometimes but Lyou just have to strive hard. I salute your courage bro, infact your aspiration for $100 per steem is worth thinking of and be inspired and I also have a determined mind to take all risk to promote myself, made good impact in this community. You are wonderful brother, infact you brought something new which I dont imagine out of me, I have release another ulog post now and another later in the night, apart from upvoting I want you to be pointing out where there is need for adjustment because I'm here to make a positive impact....thanks for your brotherly guidiance, you are such a rare gem. That's what I call being "all in." I hope it works out for you and I have a feeling it will... Being a student left me with little time to post and engage as much as I wanted to. Being a blogger, I've tested different ways to increase exposure using the limited time I have. The upvote bots may help "get the word out" but will drain your wallet over time. I last used them on my 1600 word post I wrote last week about psychopaths and am now posting without them. I could really understand in some cases you want to use up-voting bots and if you use it without abusing the system then it's all good. Happy Steeming and good luck with your studies ! "If i have my own house yet, i will sell it to achieve my dream"
Taking risk can never be waved away in achieving dreams. I went to my store this evening to check things not yet useful for now but are valuable to me for sales. I cant wait to buy more steem power. Thanks so much @nathanmars for the advice. You are the Boss! I hope Steem is mooning soon. I agree with you, imagination always explores yourself. dependence on activity is boring, sometimes with imagination you can go to a different world. and it was fun. To be honest, there are many memories of my family and grandparents with the house of mine which i never want to loose. But at some point we have to step forword leaving all the memories behind and moving on to chase our dreams. Things you are doing now may get you some hard times but everyday isn't the same day. Success comes from experience and experience comes from bad experiences. Those things you are experiencing will definitely lead you toword your dream. Its your's destiny and so do many of our's. Painful experiences and bad experiences will lead to better life ! Don't let down your feeling and it will definately keep you going to the unbreakable. hello, @nathanmars. hope are you well. astonishing risk!! I have been following you since a while and I really like the way you motivate people. To be honest,Brilliant decision my friend, what use of getting a house when you know you can actually get three folds of the amount you sell in the future even more than it. I respect your decision on this, you have such a strong heart and always believe in yourself. You can get risk. @nathanmars. Hope success will be come tho your hand!! Everytime I wait for your interesting posts.Your talking style and expression is first class.wait for your next post..I just want to say Salute boss you're great..take care yourself..
#We always Love @nathanmars. and respect you sir. I really appreciate your comment! I'm actually a fan of you, Every post of yours is a lot better. You are a great person of steem!! I'm waiting for your next post @nathanmars. @nathanmars. You did a post three days ago, But I could not comment because of some problem. But now I hope you'll see my comment!! @nathnamers. Did you see it in my comments? Thanks and I might not be creating many of own post in the future. I’m thinking outside the box. Uber, the world’s largest taxi company, owns no vehicles. Facebook, the world’s most popular media owner, creates no content. Alibaba, the most valuable retailer, has no inventory. And Airbnb, the world’s largest accommodation provider, owns no real estate. Something interesting is happening. And I want to think different and use my imagination and find what I should do with steem but my intentions and goals are already set. Amazing post,i believe i have a great future not in this community alone but the whole world..
We kind of did the same a year ago! Sell the house and put it all in the cryptos! We escaped from our prison! Me too! I'm so happy I discovered this brandnew exciting world! I'm still very new to it and discovering the potential of it and how it works and all. But I love to read these stories and thoughts and get inspirated and excited about building a better world! All in sounds like a good idea. I’m confident that you’ll discover you audiences and your work with Steem pretty soon. congratulations for taking risks and becoming the success...When you have nothing left to lose, you will gain! I don't have my own house so, I can't literally take the risk. But I am doing everything I can. Wish me luck! Yes I’ll always help new Steemians and you’re the ones are going to make steem become new Bitcoin. Yes I’m seriously sold my house and I’ll get the funds very soon and I’ll buy more and more Steem power. Because I want to impact so many people’s life around the world I needed put everything I’ve. yes, that's very good, I totally agree with your thoughts, because you want to make Steemit grow for the future. I also want to be like you, but for the moment I do not have anything, because I do not have the capital. But, if I have the capital, and I will also buy Steempower, my first goal is to help the poor, and the dropping out of school, because I want to see no more poor people in this world. With the Steemit. Are you sure you don’t have anything? I really like you because you’re engaging with conversation with me. I definitely think I want to see a Dtube video of you explaining why you decided to join Steem. I think it is very difficult for me to do, because I am very difficult to talk using dtube, maybe I should learn first, then I will make video on dtube, if later I can. My goal to join Steem is to be successful, and help the poor, I want to help others to succeed in Steemit as well. That is my first goal. Sorry I don't like the word "difficult"
Everything is possible and you can achieve anything. You never cease to amaze me big bro, with the way you promote this steemit world infact I see a great tomorrow on steemit, to me life itself is all about risk be from walking, eating, drinking, etc is all about risk talkless of what could bring a good return, I might consider it. Follow your heart but take your brain with you.and life is a risk. I checked your blogs and I want to be honest with you and say posting motivational quotes will not take you anywhere on Steem and I hope you can find something different to post by trial and error. I was heavy buying crypto in the last two weeks. Honestly, I’m not at that point where I would sell my house, but I’m extremely happy with what I have. I’m also extremely happy to be part of this community. In my past I did daytrading a lot. I learned my lesson and would never do it again. I wish you the best and many houses ahead of you once your dream with crypto comes true. Yes appreciate what you already have and be willing to get you need. I wish you success in advance for this thought. What, a game of adventure, you sure are single, because there is no need to worry for the family. It’s very important to follow your own dreams. If your dream to have family then have one. If you’re dream to become football player then be one. I don’t like people giving excuses for not following thier dreams, after all it’s your dream and you don’t need to explain to me why you can’t follow your dreams. I would even take more. Don't forget that it's carry too many basket that breaks the most eggs. Yes I’ll stay focused on my goal! So I think you have done well, I wish you long life and success. Risk is part of life. I have decided not to look for work from any governmental office after I complete my one year service to my nation this year. I will risk all I have got on steemit. No job is guaranteed and living everyday is also a risk and willingly to take that risk today for the future. I’m all in Steem based app and I don’t use any other social media at all. Dedicated to Steem! @nathanmars sir i salute your love towards steem. This community will grow. Will overtake google soon. @nathanmars sir I believe in you sir this community gonna rock the world in next few years. They say one cannot enjoy life to the fullest without taking risk and that’s is basically the main reason why risk management is to be considered. But in following my dreams, my passion then I can sell anything but my soul . This is motivational my friend. Wow. That's quite a decision. You have a long term vision it seems. I also don't like trading. That's why I have my coins for months now. I consider that long term investments are more profitable than the short term swings. And risk free and less stressful also. Decentralised digital media is the future.. The biggest risk is not taking any risk... In a world that changing really quickly, the only strategy that is guaranteed to fail is not taking risks.that is it ooooo.